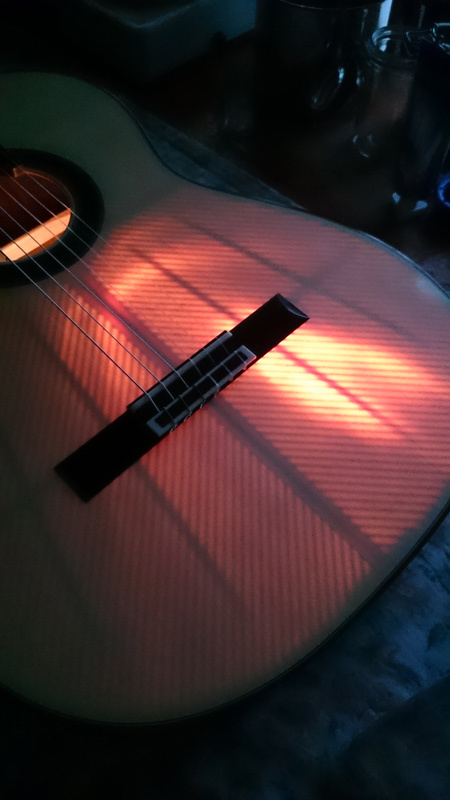 Acoustically treated the guitar forms a coupled oscillation system. 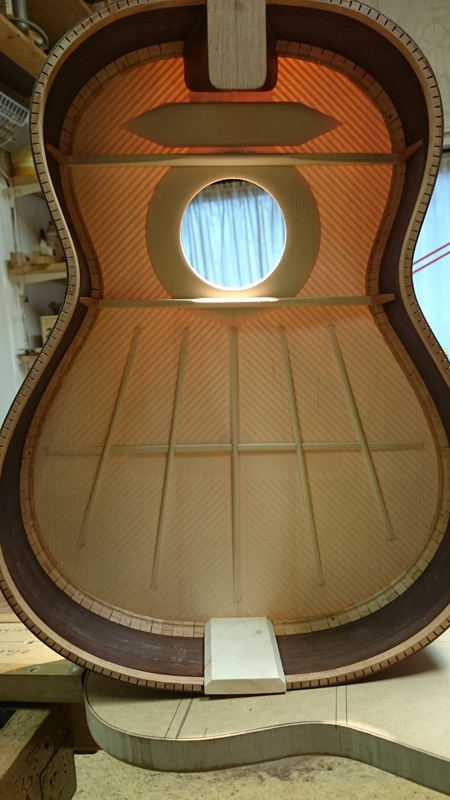 The finger plucks the string and initiates the string vibration, this causes the neck and bridge/top vibration, and this in turn sets the surrounding air at the interior and exterior of the top into movement. Plate oscillations (top, back, sides), air chamber vibration (Helmholtz resonant frequency and others), string oscillations, and the resonant frequencies of each single component (braces, bars, linings, etc.) influence and interfere with each other in a favourable or unfavourable manner. 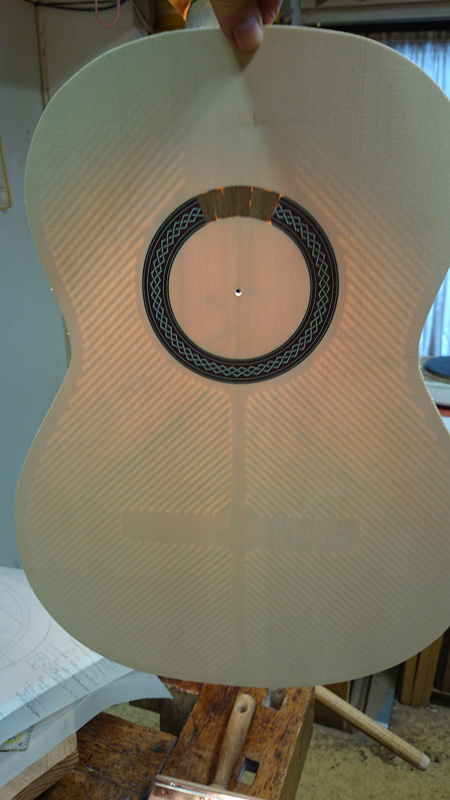 In order to meet these unique requirements guitar construction concentrates mainly on three areas, the selection and tuning of the wood, construction design, and methodology. Each area contains an enormous number of parameters and possibilities, and because of the coupling every change in detail can lead to an immense change as a whole. 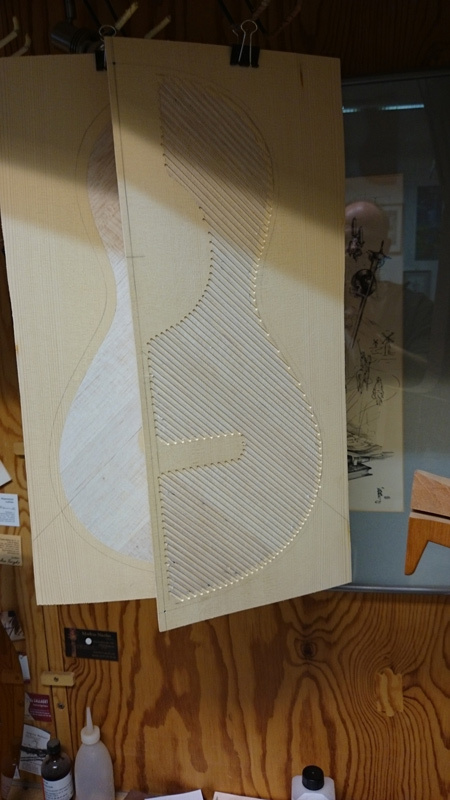 The parts that make up the guitar body: soundboard, back, and sides are only 2 to 3 mm thick, but must withstand a string load of about 40 kilogram. For that reason guitar builders of the past have applied a myriad of static principles to their work in order to combine optimal vibrational freedom with stability and durability. For that reason guitar builders of the past have applied a myriad of static principles to their work in order to combine optimal vibrational freedom with stability and durability. These include for example internal strutting, arched surfaces, and deliberate prestresses. The ideas and concepts are amazingly varied and naturally produce a wide range of results. What especially fascinates me is the lively sound characteristic of many guitars from Southern Spain. Aside from wood selection and design it is mainly construction methods that influence this sound. There exist a great number of possible ways to fashion and glue together the 40 to 50 pieces which comprise a guitar. Each of these in combination results in a unique system which affects the statics, and with it the sound. Over generations builders have developed assembly methods very finely tuned to the instrument. 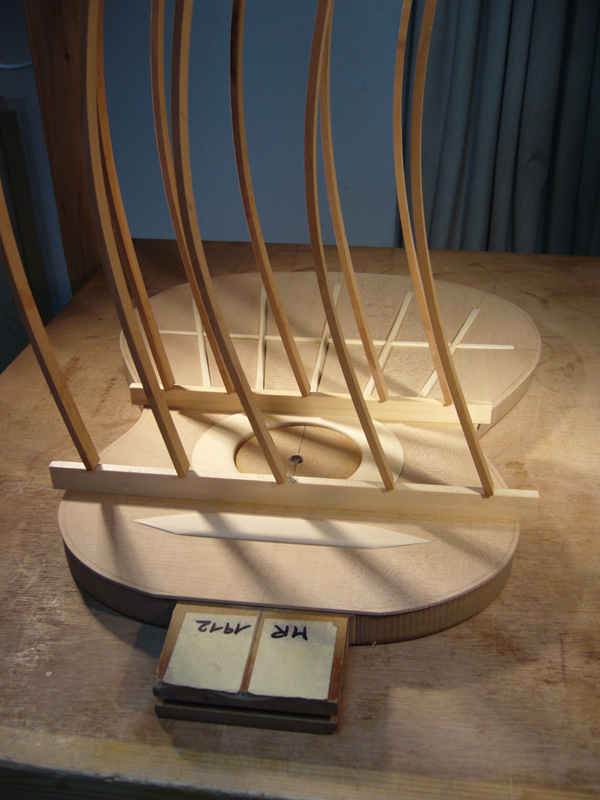 This methodology harmonises perfectly with the use of hide and bone glues and shellac polish to form the basics of traditional Spanish guitar construction.